During the Navaratri time, you always end up thinking about the Sundals you get to eat when you visit the Gollus. 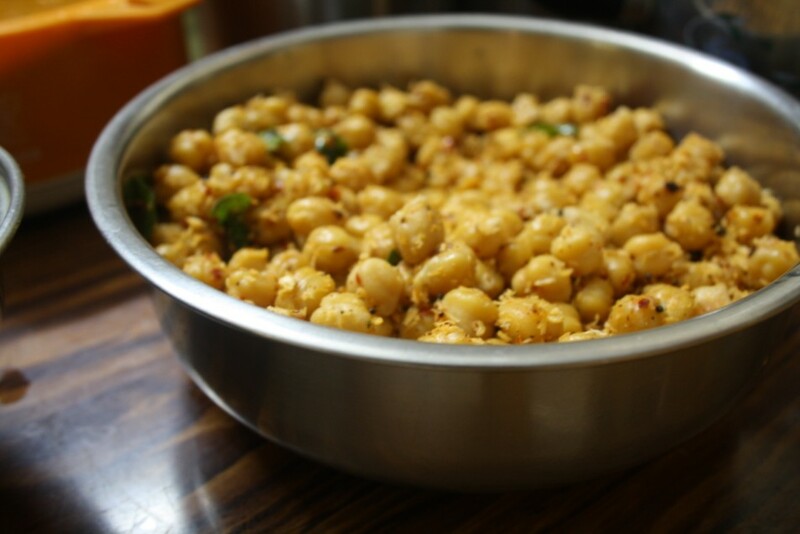 Among the whole lot of Sundals that get prepared, this spicy channa sundal is always my favorite. This is the way the Iyars in Tamil Nadu make it and I always get so excited eating it again. There is that special touch that comes in when you make it the way they make. During the party we had last evening, Amma wanted to make Kadala Sundal. Knowing the vegetarians who were coming over were Iyars, I thought they would love this sundal their style. It really came out so well and not just that we had so much that I even took it for work today and within minutes, they simply disappeared. I was busy preparing for the party that I really couldn’t find enough time to click proper pictures. Then I realised that there was something wrong with the DSLR, all of them ended up being blurred. Anyway here are couple of them that were decent. Soak Channa/ Sennagallu overnight. Pressure cook for 3 – 4 whistles or till fork tender, with salt and water just enough to cover it. Remove water. Dry roast the red chilies and when cooled, pulse to get chili flakes. Next pulse the coconut and keep both aside. Heat 1 tsp of oil , when the oil is hot add hing. Then add the curry leaves, mustard and Urad dal. When the mustard pops, add the cooked channa, sauté well. Now add the chili flakes, mix well. Then add the coconut. Adjust salt and simmer for 6 mins. If you are not able to grate the coconut, simply pulse in a mixer for couple of times, you will have a coarse texture which works out fine. The difference in this recipe from the rest, is I normally add green chiles as well and don’t add the chili flakes. Also when you add more Urad dal, it gives a good crunch along with the hing, the entire dish comes out great. I love spicy food. …this is a lovely recipe…. yum yum!!! so delicious and mouthwatering!!! oerfect with coffee or tea! 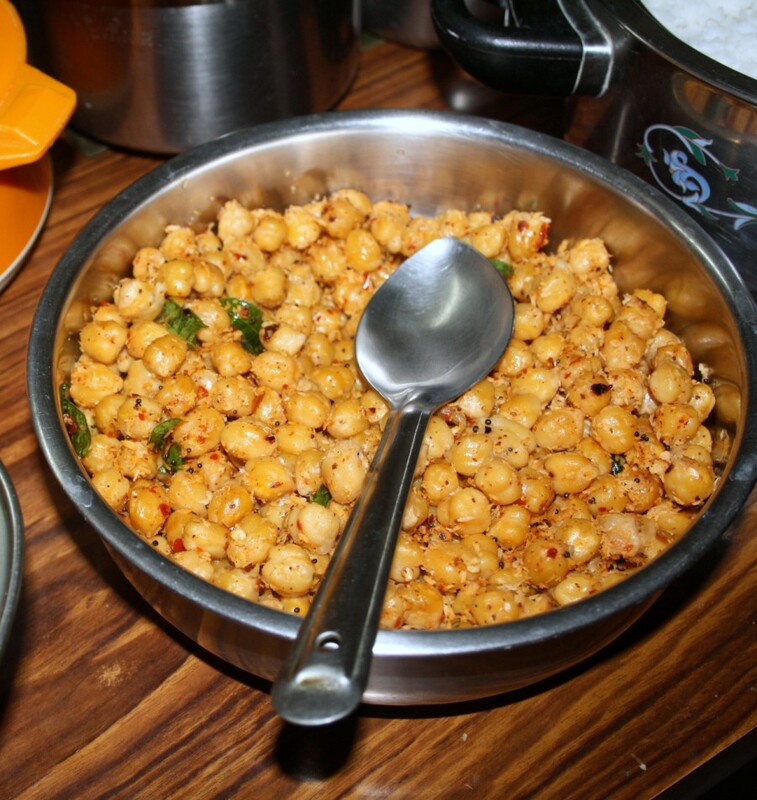 Delicious…wud luv to have this spicy chickpeas with plain puris. The use of urad dal & hing seems to be a great combination.